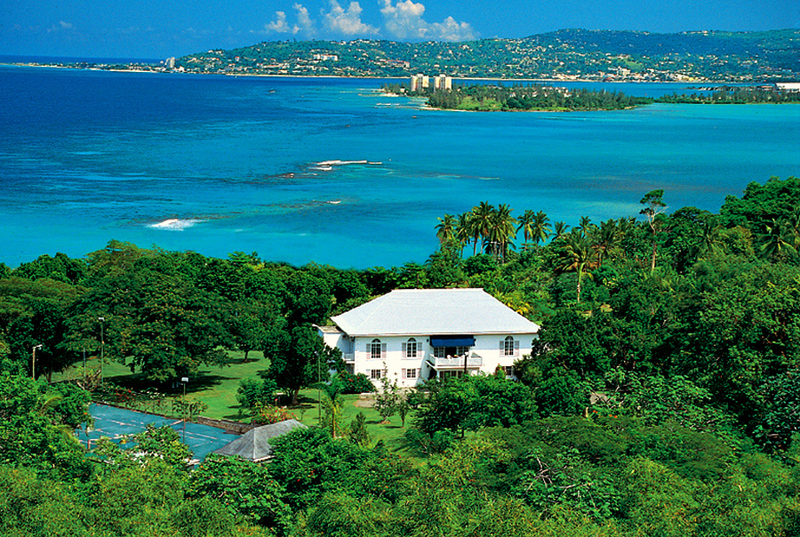 Wild Orchid Villa, one of the most glamorous luxury villas Jamaica, has been featured in Island Home Magazine due to its grandeur. 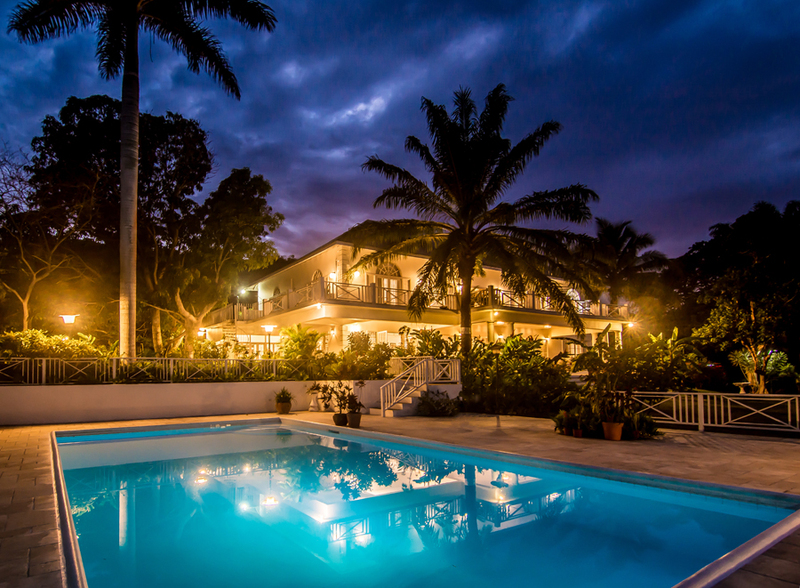 The 7000 square feet grand five bedroom villa is located on a fabulous 220 acre estate that was previously a coconut and banana plantation. 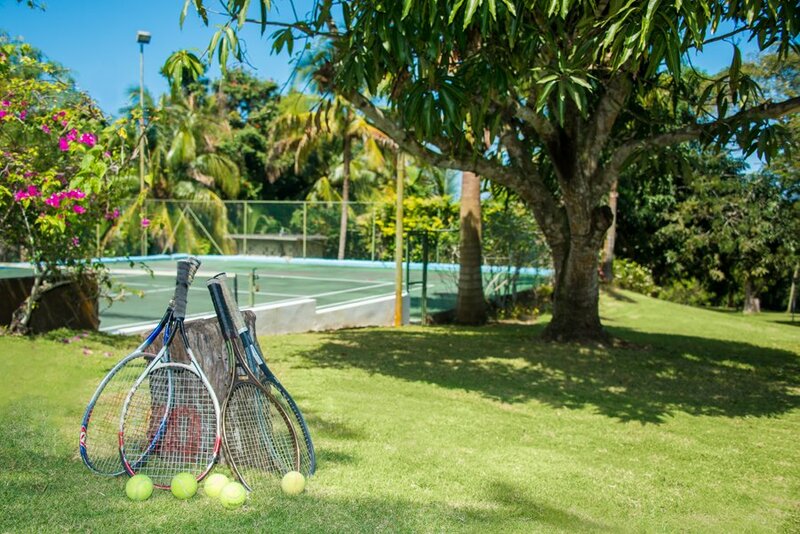 The sprawling villa offers an expansive swimming pool, a private tennis court lighted for night play, several gorgeous living and dining areas and exquisitely landscaped gardens. 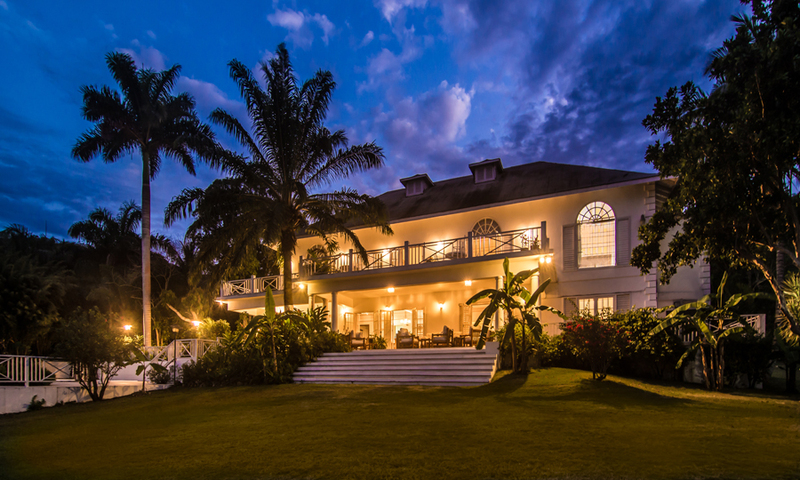 The Georgian design of this new mansion reflects the grandeur of the original plantation era. 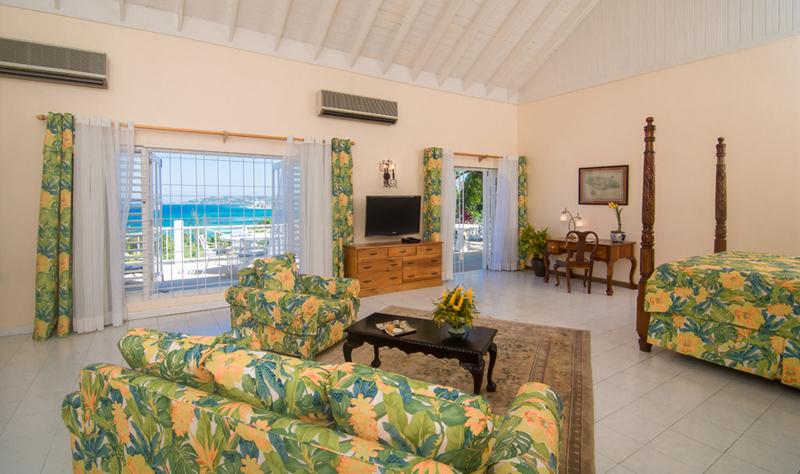 Additionally, Wild Orchid Villa offers modern amenities all through the villa, complemented by tasteful décor and interiors. The living room has a sophisticated environment with a complete entertainment center, including a 42” LCD cable television, DVD and BOSE music sound system. 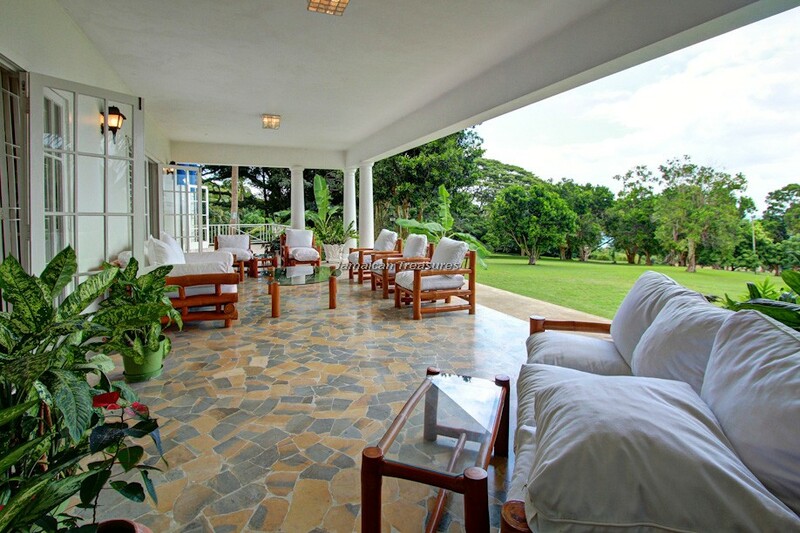 The very comfortable covered verandah at Wild Orchid Villa is furnished with large bamboo sofas, making it the ideal place for simply relaxing, entertaining, reading a favorite book quietly or for enjoying refreshing drinks while enjoying the magnificent views or the surrounding landscape. 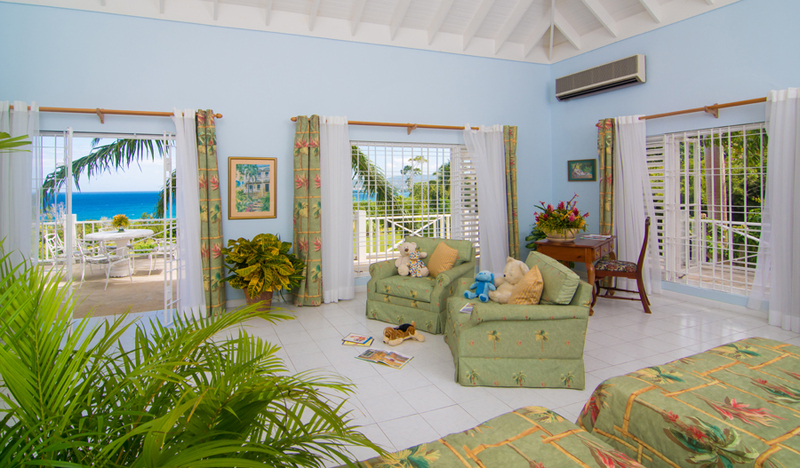 Wireless internet facility is available all through the villa. 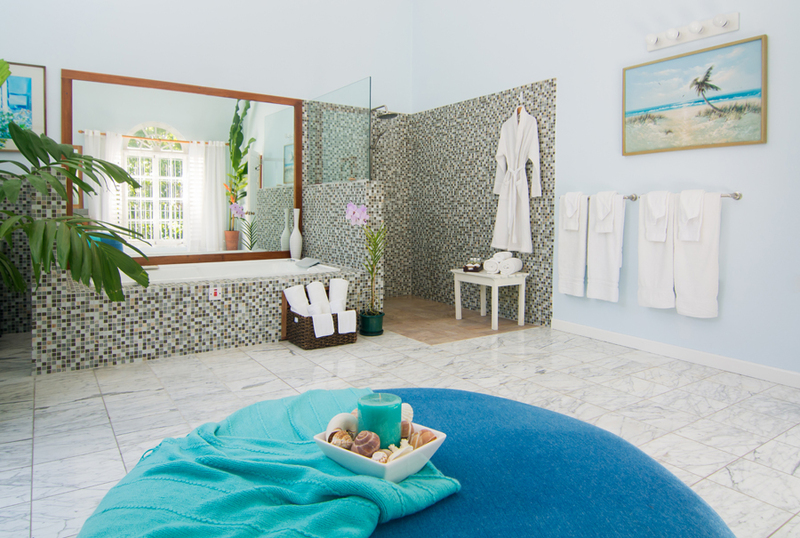 Located on the first floor of Wild Orchid Villa are two very large master bedrooms, which offer a luxuriant holiday experience. 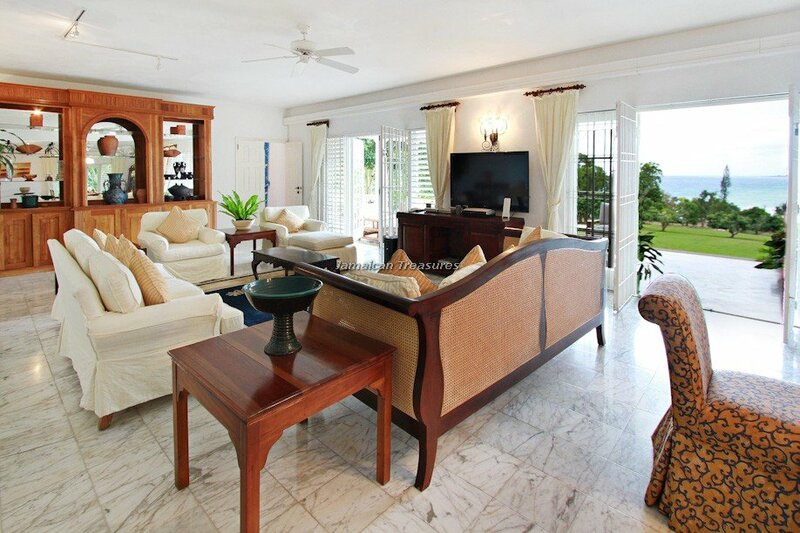 Individual sitting areas, classy furniture, oversized en suite bathrooms with lavish fittings, Jacuzzi and lovely private balconies with picturesque views of Montego Bay, are some of the additional features of these two bedrooms. 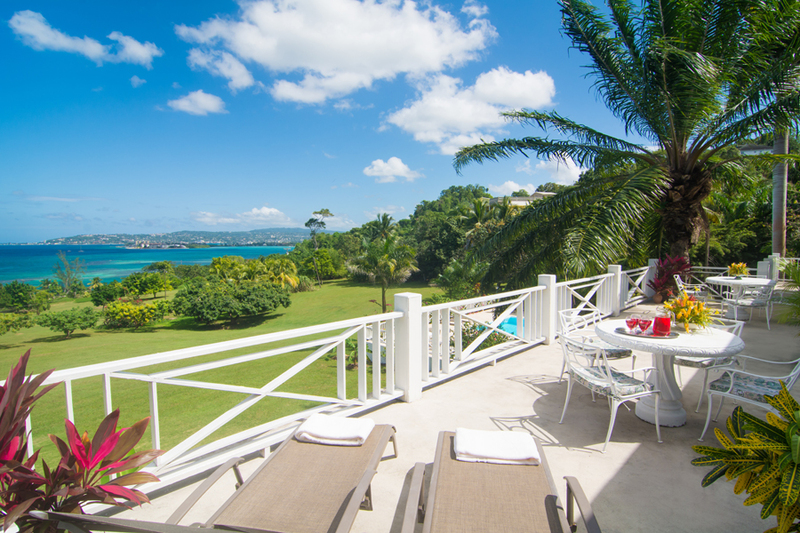 However, all five bedrooms offer king-sized or queen-sized beds, air-conditioning, spacious accommodation, cable televisions, en suite bathrooms and gorgeous mountain or ocean views. The fourth and fifth bedrooms have a connecting door, making them suitable for families with children. 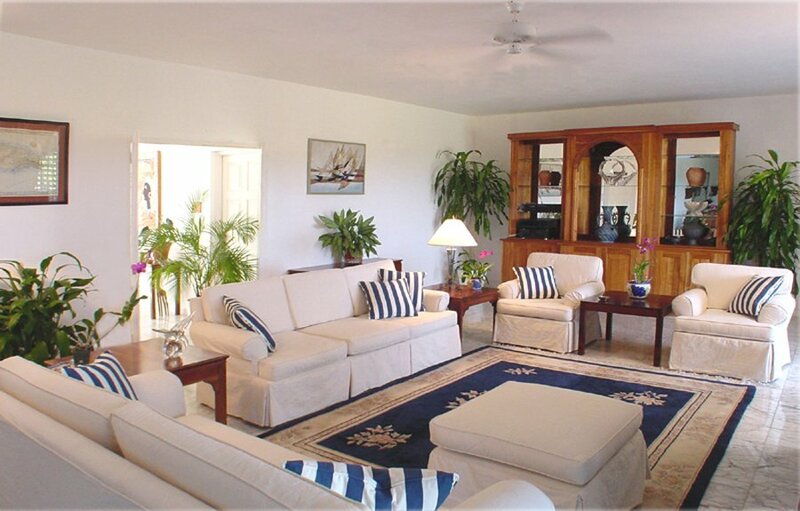 Wild Orchid Villa has a wonderful full staff of seven, including a cook, butler, housekeepers, laundress and gardener. 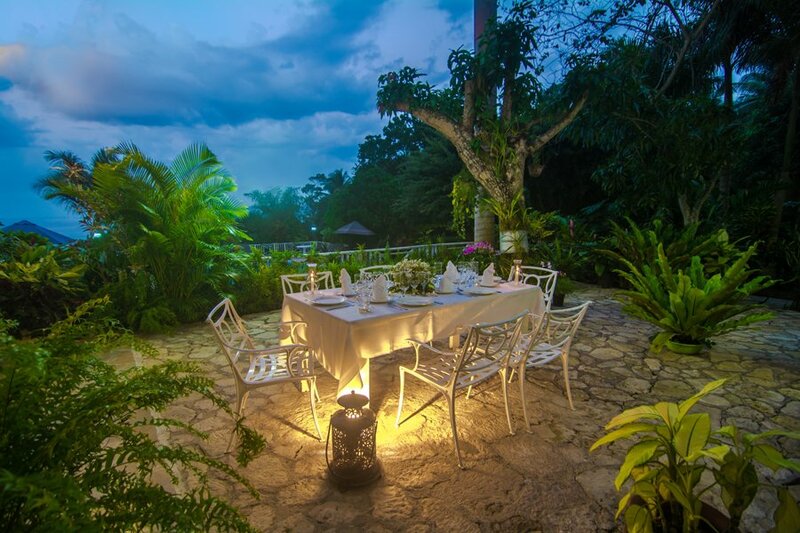 The experienced and friendly staff caters to the guests’ every need, ensuring that they enjoy in a relaxed environment with maximum relaxation and comfort at this villa in Jamaica. 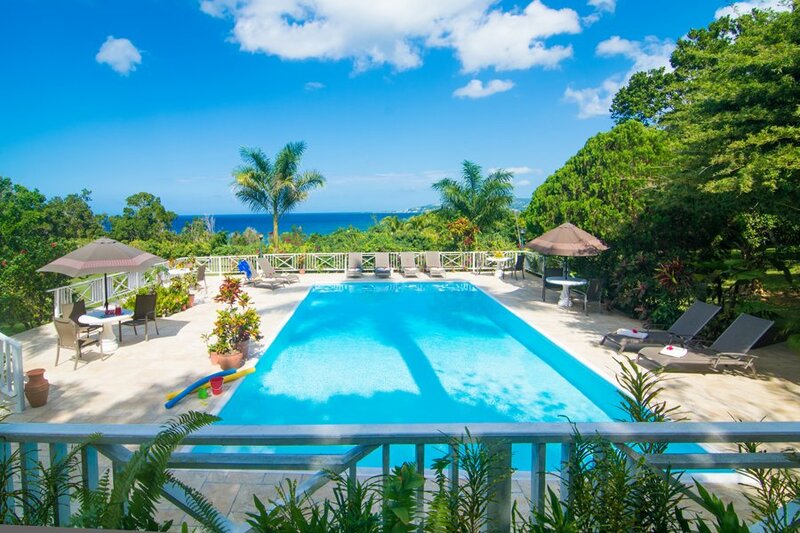 Wild Orchid Villa is situated less than ten miles from Montego Bay and few minutes’ drive away from several world class golf courses, beaches, tennis facilities, water sports, restaurants and craft markets. 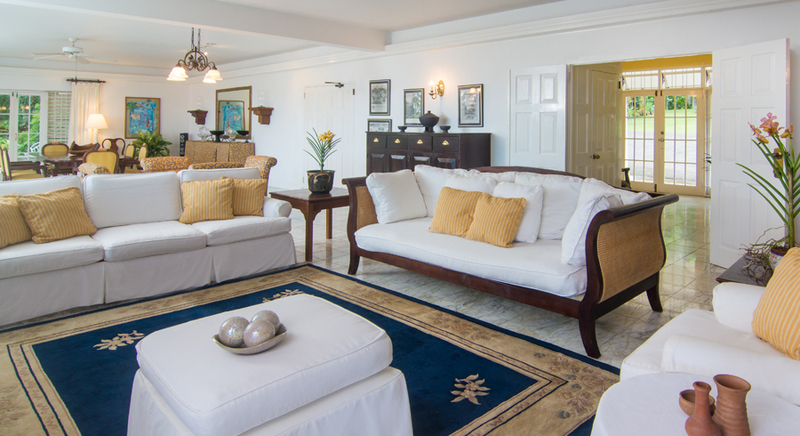 The villa’s guests enjoy the excellent facilities offered by the Tryall Club membership. 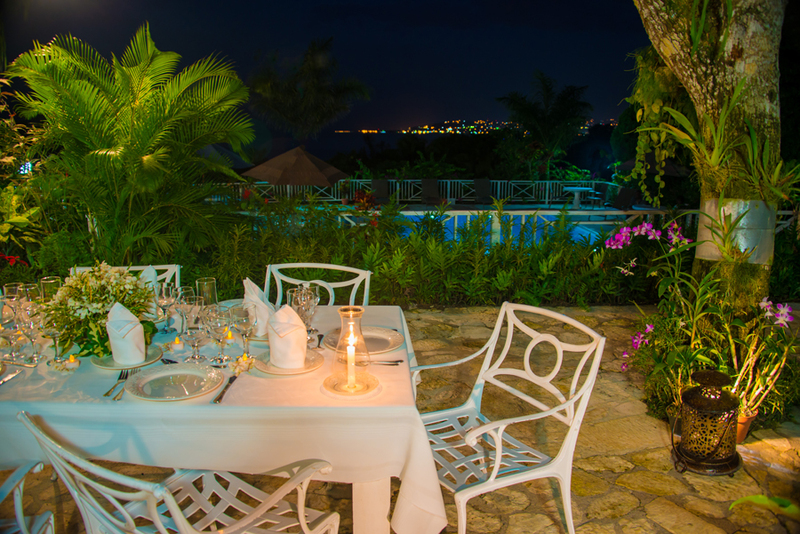 The world renowned Tryall Club is located at a 15 minute drive from the Jamaica villa. 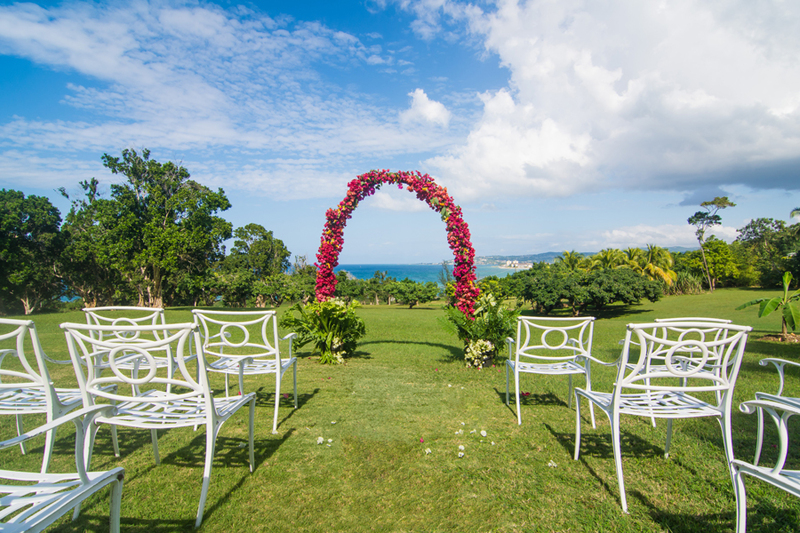 The superb atmosphere, the grandeur of the property and the luxuriant atmosphere of Wild Orchid Villa makes it the ideal option among villa rentals in Jamaica for large receptions and weddings. Two 20' x 30' Master Bedrooms one with a king-size bed, the other with two double beds, plus sitting areas ... one with shower and tub for two, the other with shower and Jacuzzi. 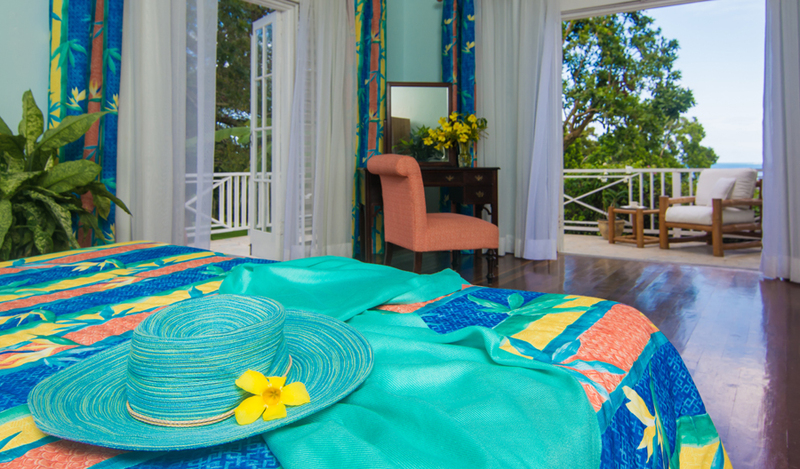 Each master suite opens to a glorious balcony view of Montego Bay. Eye-opener coffee is delivered to the balcony each morning. 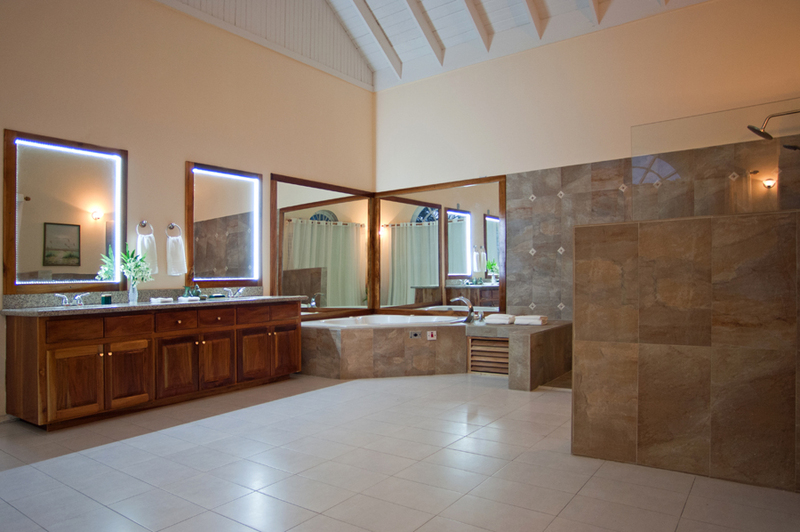 Kingsize bed, spacious room, private bath with tub-shower combination, gorgeous mountain view. Queensize bed, private bath with tub-shower combination. Has connecting door to Bedroom 4 to enable adjoining rooms for parents and children. 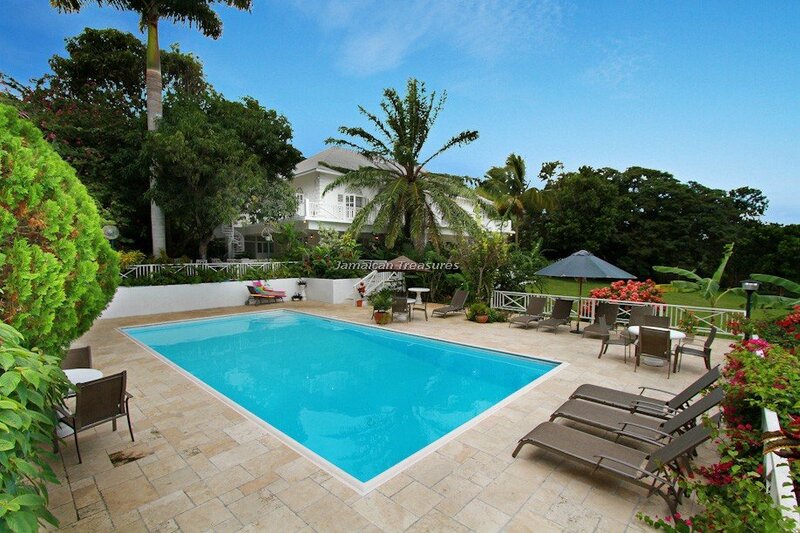 OCCUPANCY: 10 person in 5 bedrooms. 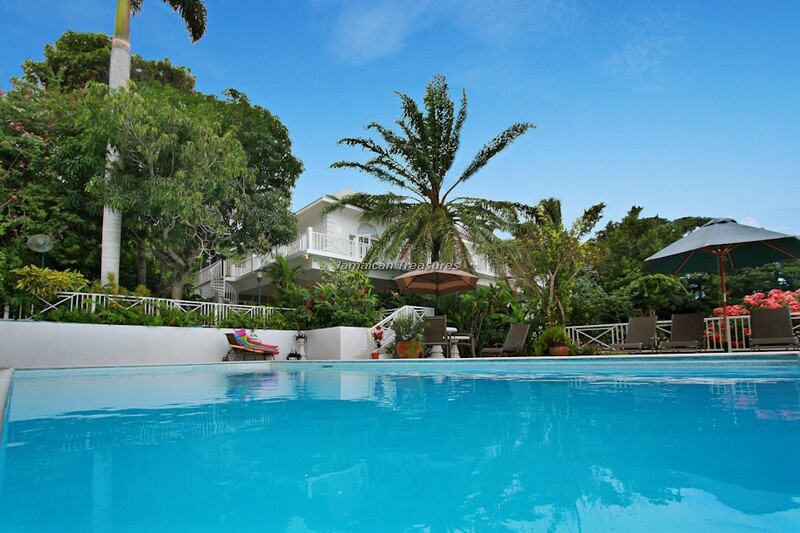 EXTRA PERSON CHARGE: $30 PP/ Per night up to a maximum of 12 person in this villa. Please request a quote for more than 300 guests. Please request a quote for more than 100 guests. 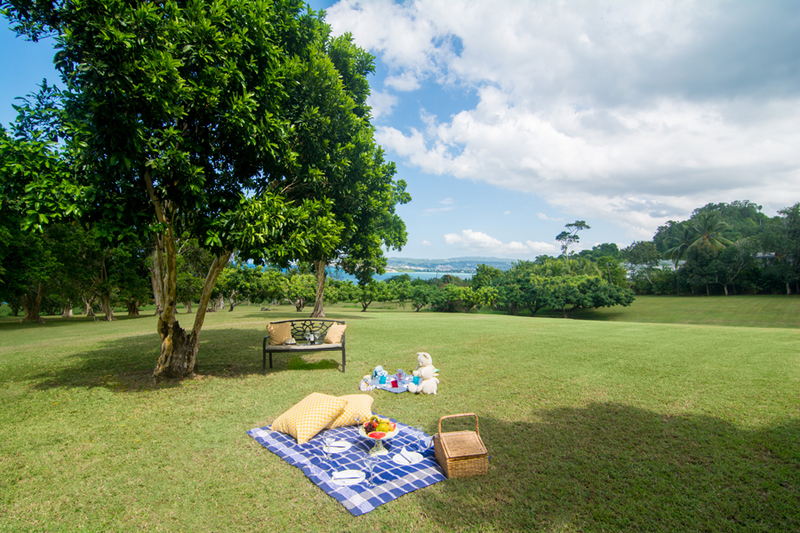 One-day events during High Season attract an additional 20% Surcharge. 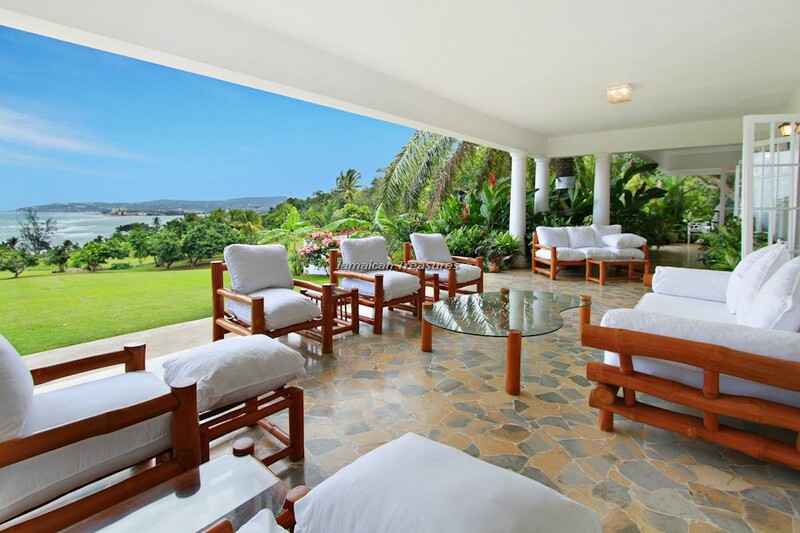 DAMAGE SECURITY DEPOSITS: All bookings for Wild Orchid need a $500 refundable damage deposit for all vacations and wedding events. 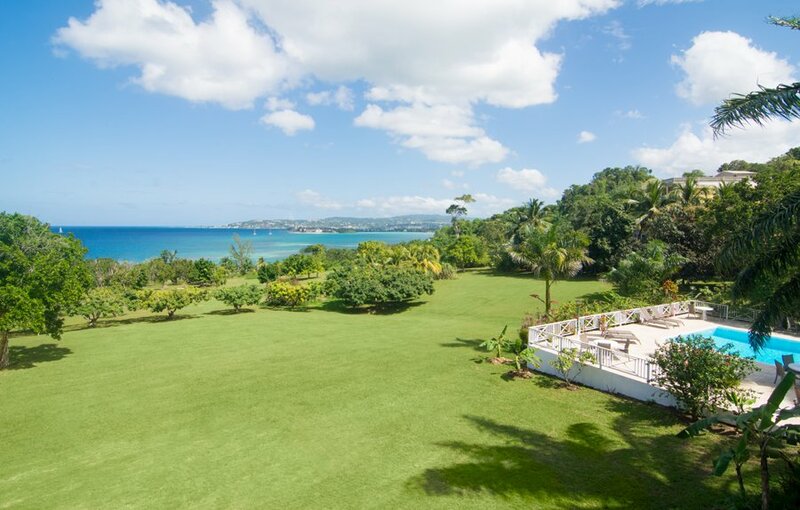 Main are is open with ocean views and views of Montego Bay. This bedroom connects to Bedroom #2 but both rooms have their own access and can be kept closed for privacy. 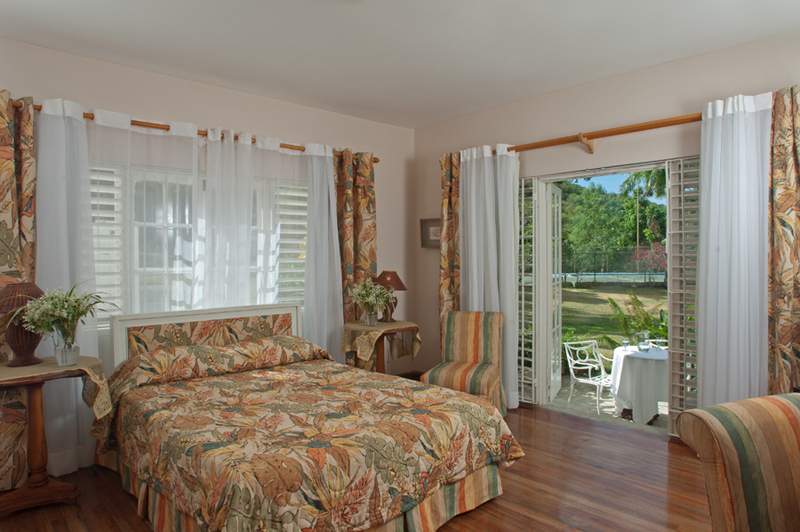 Walk out to a shared verandah with Bedroom #3. Has a tennis court and a generator.